​MCTs are a great source of quick and instant energy and are easy for the body to digest. 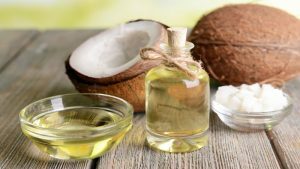 We have noted the numerous benefits MCT oil has in our other articles, but if you want to get clued up on these then you can find one of those articles here. One of the ways that people like to incorporate MCT Oil into their diet is by adding it to their morning coffee or any coffee during the day for that matter. 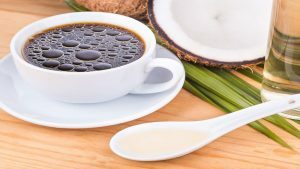 This first became popular through the "Bulletproof Coffee" phenomenon which also suggested adding butter to your coffee as well. There are several things to consider when making your own special brew. The quality of coffee is important - you shouldn't just use any old coffee. This part of the puzzle is easier to deal with and you probably already have a high quality coffee ready to use. The other thing to factor in, is the quality of the MCT oil. Not all MCT oils are created equally. Some include palm oil which you really want to avoid. So ​picking the best mct oil brand is a must. The best type of MCT oil for coffee is one that mixes well and doesn't spoil the coffee taste. Below we take a look at 3 of the best MCT Oils for coffee on the market right now. It goes without saying that the Bulletproof brand must be on this list. As the pioneers behind this type of coffee, it should come as no surprise that they offer an MCT oil that is fit for any coffee cup. 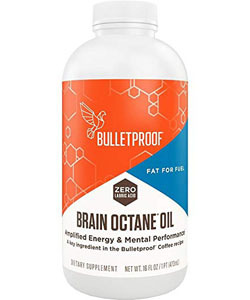 Brain Octane Oil contains only caprylic acid. 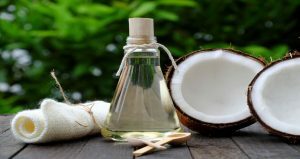 Tradtional MCT oil contains both caprylic acid and capric acid. 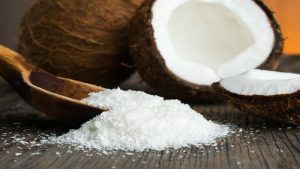 The reason behind this is that caprylic acid is more efficient than capric acid, meaning it converts to ketones within minutes. It also goes through a special triple distillation process with only water, head and pressure. No harsh chemicals or solvents are used to extract the MCTs. It is an ideal quick energy that produces 4 times the ketone energy of plain coconut oil. 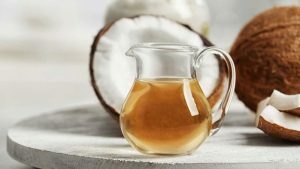 They also claim that it is easier on the stomach, which is a bonus if you struggle with MCT oil and stomach issues. Brain Octane oil is also odorless and flavorless which means you can add it to your coffee without worrying about it adding a weird taste. As a pioneer of coffee with MCT oil, this one is certainly the number one choice to use if you intend to use it in this way. ​Like Bulletproof's Brain Octane Oil, MiCKey's is also 100% caprylic acid (C8). It is tasteless and odorless.. It is also made in the USA and is non-gmo. MiCKey have also made the effort to make their product halal and kosher certified. They are very transparent about their product and pride themselves on the quality. Like Bulletproof's Brain Octane Oil, MiCKey's is also 100% caprylic acid (C8). It is tasteless and odorless.. It is also made in the USA and is non-gmo. MiCKey have also made the effort to make their product halal and kosher certified. While this isn't an oil, it is a powdered form of MCT. Of course powdered forms tend to come with additional additives and some companies choose less than healthy additives. However Perfect Keto is different. 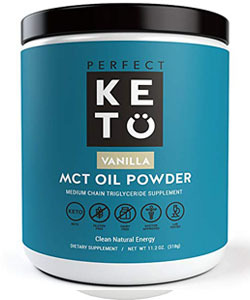 Perfect Keto do not add any fillers or additives. If you go for the unflavored version you get pure MCT powder and nothing more. If you opt for a flavored version there will be 3 additional ingredients and that's it. In the case of chocolate they are acacia fiber to bind (its also a prebiotic), stevia leaf for sweetness and cocoa powder for that chocolate goodness. Unlike MCT oil where using a blend is advised, you can just stir in the MCT powder with a spoon. I felt it was worth mentioning this powder because it adds a little versatility without the hassle oil can have. There are different flavor options to choose from and powder can be better to travel with if you want to continue your coffee with MCTs.